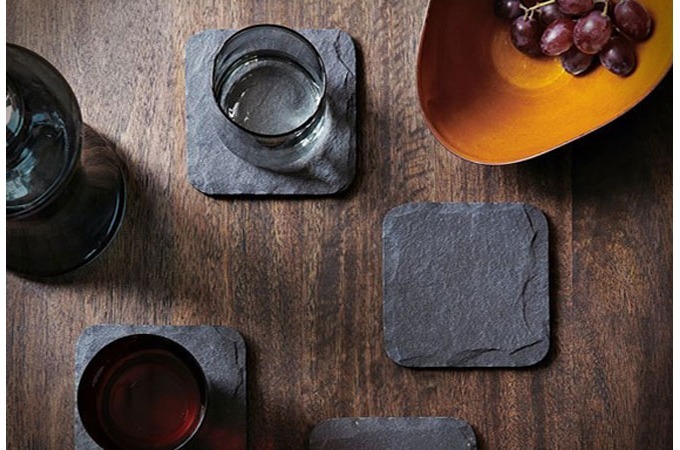 With these Chalk it Up Chalkboard Slate Coasters, no more... "which is my glass?" or " whose glass is this?" you can now keep track of your drink, you will never have to worry about whose drink is whose. 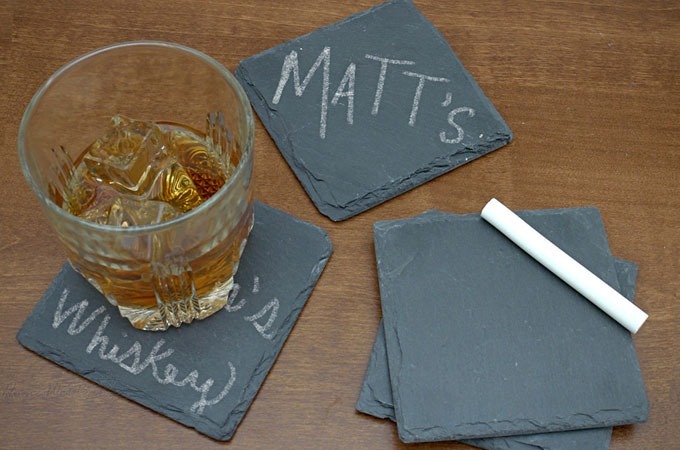 The coasters are personalized with guests names at dinner parties, just write on the slate with the provided chalk. You can then easily clean them with a damp sponge for the next happy hour session. Set comes complete with four slate coasters, two pieces of chalk and gift packaging.